1. (idiomatic) A deliberate, untrue statement which does no harm or is intended to produce a favorable result. While most people agree that they don't want to make a habit of telling lies, many insist that there's a kind of lie that is harmless to tell. As the story goes, these so-called "white" lies serve to help protect people's feelings and there's little or no cost to telling them. Here's why I challenge myself to avoid using these little guys. Yes, you do look skinny in those jeans! I would love to go out with you, but I can't because I have another appointment. Why tell a white lie? Usually it's to protect somebody's feelings in the short term. Perhaps I can shield somebody from the truth in the near term so that they can feel good about themselves (and like me more!). While telling a white lie may protect feelings in the short term, it may also not. In particular, there's usually some risk that the person I tell the lie to actually knows it's a lie. Even if I'm pretty sure they don't know right now, they may find out eventually. When they do, they know that I'm a liar, and their feelings may be hurt that I didn't consider them big enough to handle the truth. Even if the white lie protects feelings in the short term, it harms our relationship in the long term. My lie reinforces a version of reality that I perceive to be a contradiction. I validate a falsehood for the other person, even though it may be small. Then, they may start building a view of the world which rests on the validation I'm giving them. They may receive white lies from more and more people, futher validating this world view. Eventually, the shaky foundations come home to bear on my poor friend and they are faced with a difficult self-acceptance problem (or maybe they never do, but who am I to gamble with somebody else's future?). Now let's take the other tack. If I tell the person up front what I see, being true to the fullest of my observations, it may cause hard feelings in the short term. As soon as it's said, though, it allows both parties to begin speaking directly to the issue. And if there's something that the other person needs to address, they're more likely to address it sooner, while it's more managable, than later when it's grown to the point of being difficult to deal with. Avoiding white lying wins truth in relationships. I want friends who will tell me the truth as they see it, regardless of the difficulty it may pose me. I want to find out and change patterns that do not serve me ASAP. It helps to have friends who will tell me exactly what my behaviors look like on the outside. Making a habit of avoiding white lies attracts truth-telling friends. Exactly what I want! The lie here is that the person telling the lie does not actually see the other as skinny when wearing the jeans. Jane gets the idea that she looks skinny in these pants. Then, when she goes out she will expect others to see her as skinny. Others won't see her as skinny, and some may be like me, truth-tellers. So it sets her up for potentially difficult social situations. It hints at the idea that to be skinny, all she has to do is change her clothes. This allows Jane to put off dealing with her weight issues, which does not serve her in the long run. It reinforces the idea that it's important to be skinny, and may reinforce an unhealthy relationship between Jane's self-image and her weight. If Jane knows that it's not true, she now knows that there are some things about which I will not tell the truth. So when she is interested in getting an honest answer, she will not be able to come to me. This damages our relationship. It reinforces the idea that she can be wonderful in spite of her weight problem. Her skinniness need not be her self-image. It gently reminds her, by not allowing her to avoid the fact, that she is not happy with her weight. This is more likely to lead to action on her part to change things. She knows that I will tell her the truth when she asks. I feel embarrassed with Jane because she burps all the time. If I tell her up front, maybe she'll decide she can change her burping habit, or we'll talk about it and find an activity or environment in which I'm comfortable. Or maybe she is insulted and finds somebody else to hang out with. Either way, we acknowledge the problem, take corrective action, and move on with our lives. If I tell the lie, however, we can't move forward. She doesn't know that I'm embarrassed by her burping. She keeps asking me to do stuff and I keep having to make up reasons. Eventually, she gives up. She doesn't know why I don't like to hang out with her. She may question her self-esteem. I think white lies can actually be more dangerous than the other kind. They sneak into our behavior in seemingly innocuous ways and start us thinking that we can bend the truth a little here and there. We may end up making bigger lies. 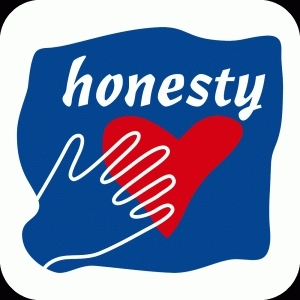 We may start to think that "everybody lies", and grow incapable of genuine relationships. I prefer to keep it real, yeah!